There are niche products, and then there's something like Audi's allroad. In reality, there really isn't much else like the German maker's rough-tough A6 Avant alternative. And if you're a cynic, be prepare to be disappointed - the allroad actually makes a lot of sense. This is the second-generation allroad, the first was an offshoot of the previous generation A6. 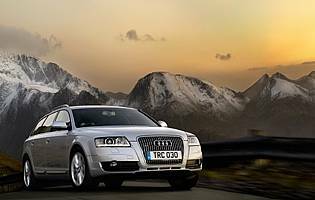 Obviously no fluke, the car's popularity warranted further investment by Audi, which is why it continues on the back of the larger and improved A6 you see here. On the back of a mid-life refresh, this A6 allroad gains a few subtle exterior changes, although the purely cosmetic tweaks do little to detract from the car's underlying performance. Straddling the class line between executive estate and premium SUV, the allroad attempts to offer the best of both worlds for buyer who find the latter to be overkill - they won't be venturing off-road enough to justify the inherent compromises associated with proper SUVs. And it's in this area that the allroad scores so highly. At its core it is a premium estate car, with all the luxury connotations associated with such a vehicle. 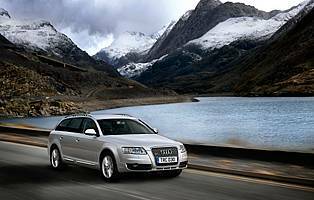 The added value element essentially takes a perfectly reasonable A6 Avant, raises its ride height slightly, adds air suspension (with different user switchable height settings), all-wheel drive plus subtle but effective protective body cladding. The end result is a better than average tow car, a premium estate capable of taking to the beaten track once in a while and a car capable of dealing with the worst the weather could throw at it. And all the while, you get to sit in the lap of leather-line luxury. If it's true that people who buy SUVs rarely exploit their capabilities, the allroad allows you to ditch the high-rise driving position and roll-heaving ride without any real compromise. 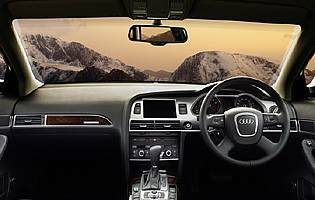 Audi has done well in recent years by identifying gaps, or niches, in the market and plugging them. 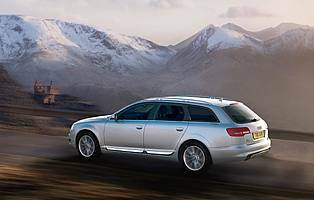 The A6 allroad is one example; it's more premium estate than SUV, yet boasts all-wheel drive, adjustable suspension, a bash-proof exterior and a raised ride height. With no SUV-like compromised to battle with, the allroad proves itself to be a great all-weather, premium holdall.